Home News The New Bugatti Vision Gran Turismo Debuts… And It’s AWESOME! The New Bugatti Vision Gran Turismo Debuts… And It’s AWESOME! The Frankfurt Auto Show has seen some pretty amazing cars unveiled in its time. It seems like almost every year there’s a new car being shown off to rapturous applause. But few have ever been as highly anticipated as this. The brand new Bugatti. It’s not a new Veyron, though. It’s something even more exciting than that… It’s the Gran Turismo model. In real life! 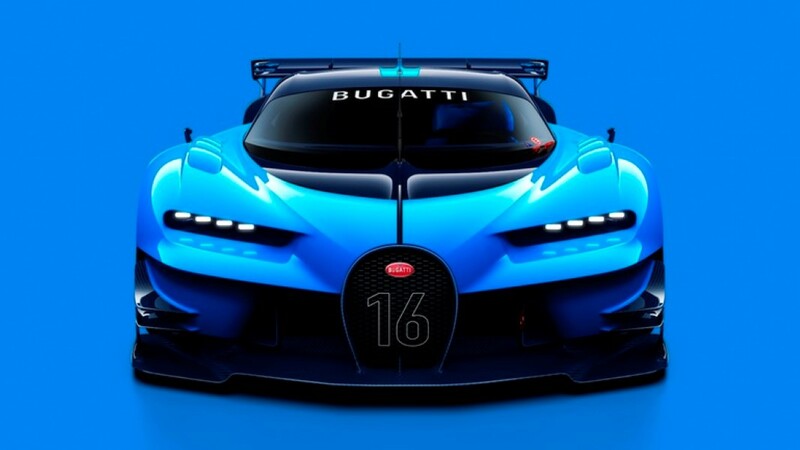 That’s right, the Bugatti Vision which dominated the track in the hit computer video game has been turned into a concept car. A real one that actually drives. And. It. Looks. AWESOME! “Bugatti Vision Gran Turismo is the first stage on a new journey that Bugatti is embarking on following the successful completion of its Veyron chapter, and which will culminate in the unveiling of the next Bugatti super sports car in the not too distant future,” says Wolfgang Dürheimer, the head honcho president of Bugatti. It’s a crazy design. Road cars have never looked like this before. It’s a huge step in automobile design. We’ve never seen a car like this before. You’ve never seen a car like this. Previous articleBystanders Witness Harrowing Scene And Immediately Step In To Help Woman In Need! Next articleFacebook To Launch New ‘Dislike’ Button! What This 10 Year-Old Kid Can Do With a Guitar Is Beyond Amazing! WOW! It’s Real… Meet The Strange But Beautiful Sea Creature That Can KILL!